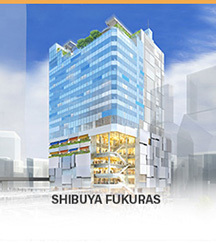 Since the opening of the Jiyugaoka Tokyu Plaza in 1961, our company has for more than half a century developed/managed a broad range of commercial facilities that respond to the needs of the day. Both to date and into the future, through both understanding and envisioning the characteristics of a city and the needs of a community, we aim to build commercial facilities that are tailored to their area and that will be loved for a long time, blending into the community and contributing to urban development as the center of the community. 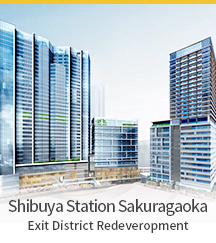 We will strive to develop our commercial facilities business in order to embody our thoughts and concepts of Machi-Zukuri (community development) .